To care for our skin means to care for the world around us. Anything that impacts our planet will also have an impact on us, our health, and our skin. Just as NIVEA respects the human skin’s natural balance, we respect nature itself. That’s why we are committed to sustainability at every step. Creating the safest, most effective and sustainable skincare is a journey. We believe in continuous improvement. That’s why we take steps towards truly sustainable skin innovation in everything we do – from our formulas to the way we produce and package our skincare and beyond. We strive to use ingredients from sources that grow back or are otherwise self-regenerating. 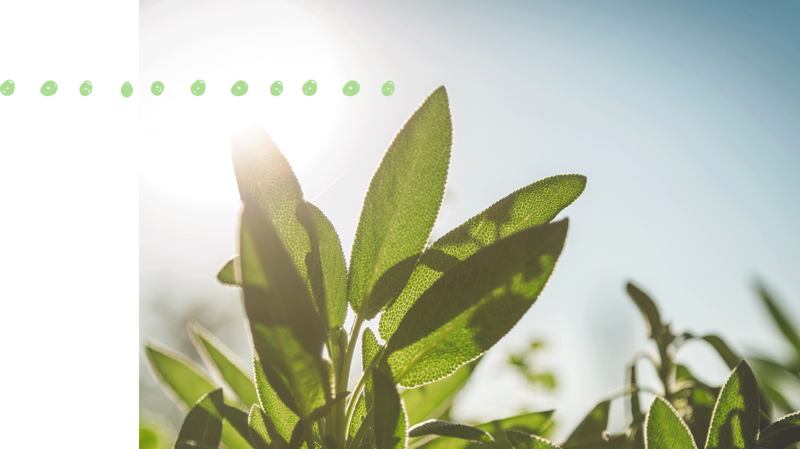 We keep an open mind for the most sustainable solution, which may include using an ingredient synthetically instead of using the natural source. We work with suppliers who feel the same responsibility towards our planet as we do and have the certificates to prove it. Our packaging philosophy is “reduce, reuse, recycle”. We keep evolving our production methods and packaging to save energy, raw materials and emissions. And we make sure that everyone involved in creating our NIVEA skincare products is treated as we want to be treated: with respect and care. Follow us on our journey and discover how we, at NIVEA, try to constantly interact with our world in the most careful of ways, to create skincare that protects our skin and nature. Good things come from the best possible sources. That’s why we make sure that everything we put into our NIVEA products is not only safe and healthy to use, but sustainably sourced. Our research teams keep looking for new, even better ingredients and alternative sources that keep our environmental impact at a minimum. NIVEA only works with suppliers who fulfill the social and environmental standards in our code of conduct for suppliers. 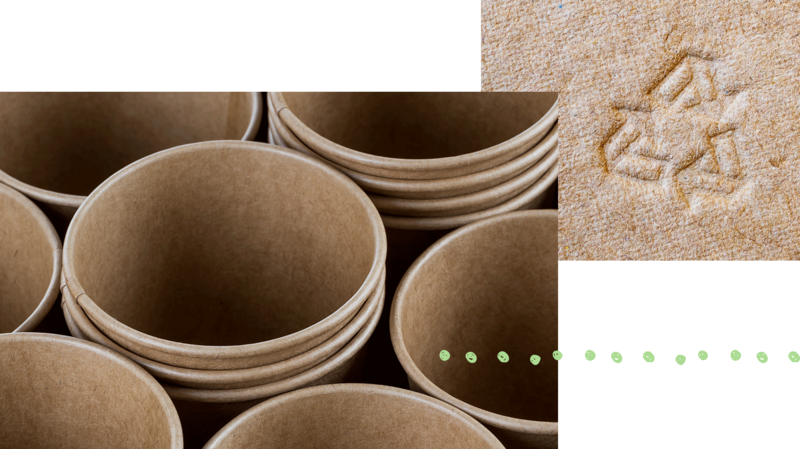 We use paper certified by the Forest Stewardship Council (FSC). Together with the Green Chemistry & Commerce Council, we promote the development of new, more sustainable ingredients and technologies. We do all this to make sure that our skincare is as gentle on our planet as it is on our skin. Some of the ingredients in NIVEA products contain palm oil – in fact, palm oil is used in 70 % of all cosmetics products. The problem with palm oil is that large areas of rainforest are destroyed in order to make room for oil palm plantations. We believe that there must be a better way. Replacing palm oil altogether is not the best option, though. Palm oil crops have a very high yield. Replacing palm oil with another, less high-yielding vegetable oil would be less sustainable. Instead, NIVEA has joined the Round Table on Sustainable Palm Oil (RSPO) and the Sustainable Palm Oil Forum (FONAP). With our partners along the entire supply chain we promote the switch to sustainable produced palm oil. Guided by our “Palm Sustainability Roadmap”, we are on a journey to procuring only certified sustainable raw materials worldwide. 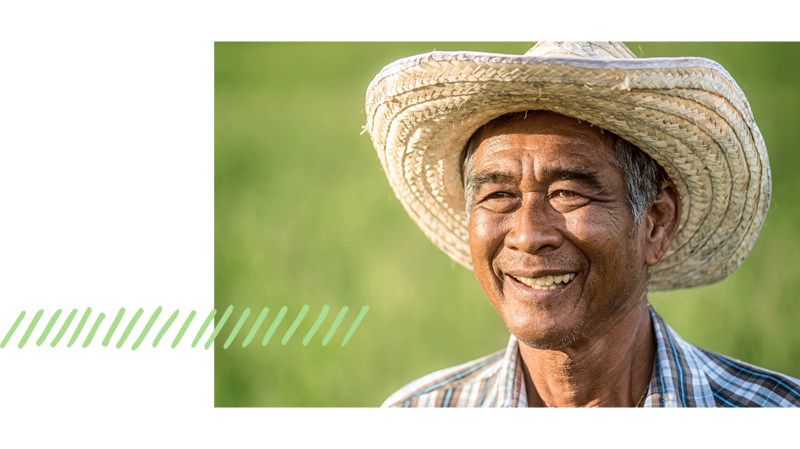 This includes our initiative for better sustainable palm oil certification criteria – e.g., reduction targets for greenhouse gases and a ban of palm plantations on peat land and other carbon-rich land. Since 2014, 100 percent of our palm-oil-based ingredients are covered by certificates – either directly as sustainably sourced or through so-called “book and claim” certificates we purchase to set off conventionally sourced raw materials. Our goal is to shift the balance towards fully sustainably sourced palm oil by 2020. Wherever possible, NIVEA uses natural and naturally derived ingredients that support our skin’s natural functions. We also know to care for what we love. That’s why we only use renewable natural sources – raw materials that are abundant and self-regenerating. Like the rapeseed oil in our lip balm, sourced from fields that bloom every year. In contrast, fossil fuels take millions of years to form. What’s the difference between “natural” and “naturally derived”? Natural products like essential oils are made directly from natural raw materials. 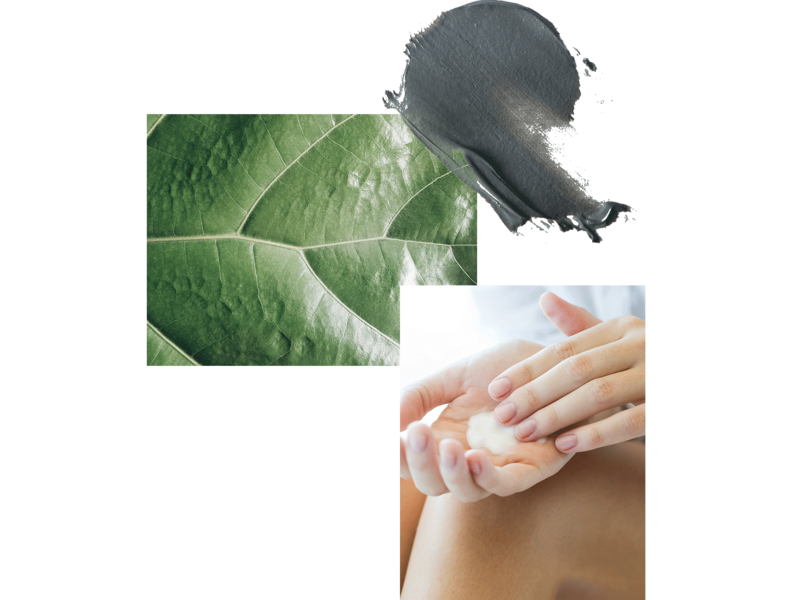 For naturally derived ingredients, the raw materials – e.g. 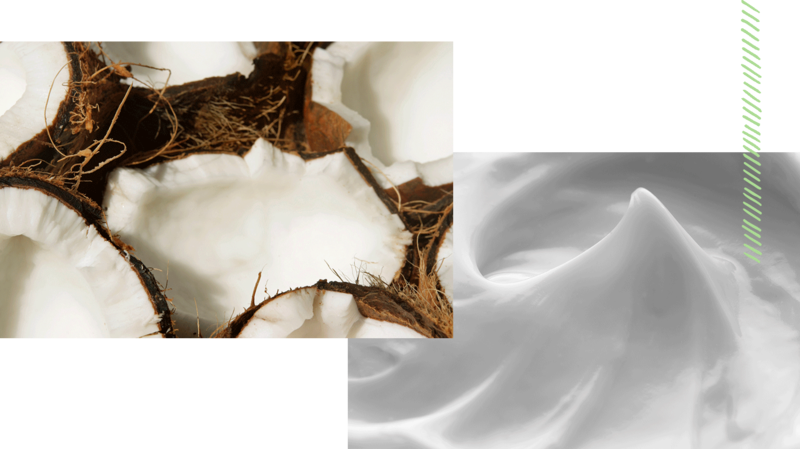 coconut oil – are treated in order to get to the good stuff – e.g. natural fatty acids and natural fatty alcohol. Would you have guessed that synthetic ingredients are often the most sustainable choice? Sounds paradox, but it is true! 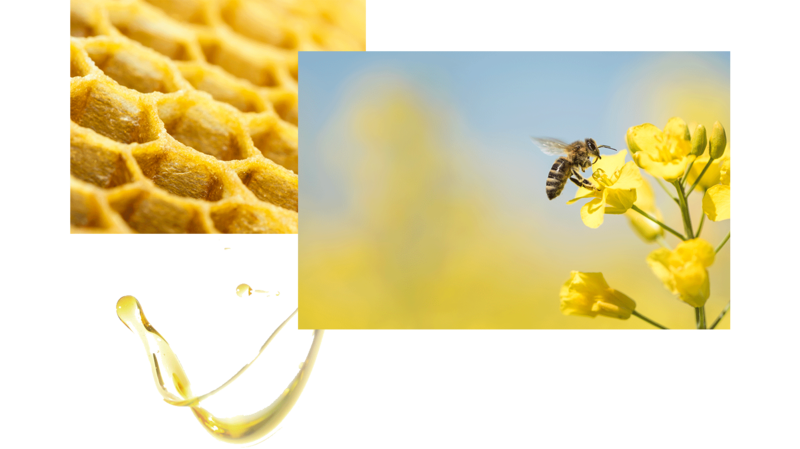 To protect our planet and its resources, NIVEA produces some ingredients synthetically. When we create an ingredient in the lab, we do not need fields to grow plants. We do not need to water crops or protect them with pesticides. Instead, those fields and that water can be used to grow foods. But saving resources isn’t the only advantage of synthetic ingredients. In many cases, they are also more pure, of more consistent quality, and less likely to cause allergies. Synthetic can be a clear win-win for our planet and our skin! We invest a lot of energy in developing the best possible formulas for your skin. 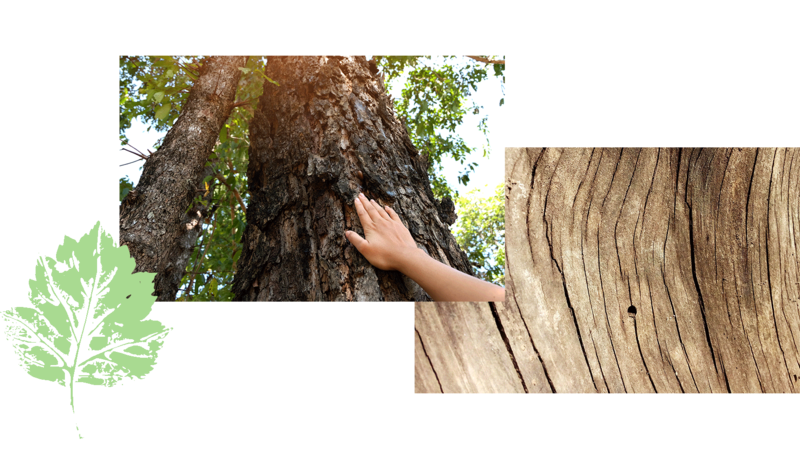 Naturally, our commitment to protect our planet and our communities also extends to the way we produce NIVEA skincare. We strive to keep our CO2 footprint low, save energy, and ensure good working conditions for everyone involved in making NIVEA products. Creating NIVEA products is a joint effort, and we feel responsible for everyone involved. Our code of conduct sets high standards for suppliers and subcontractors – the same high standards we adhere to. We are committed to protecting human rights and do not tolerate forced or child labor. We do not just make demands, though – we also help our suppliers establish sustainable supply chains. For NIVEA, helping others protect our planet is a welcome opportunity to make a positive impact. We are committed to shrink our CO2 footprint – and our energy goals are ambitious. By 2025, we want to reduce our energy-related CO2 emissions by 70 %. For each NIVEA product we manufacture! We started by reviewing the energy infrastructure for all our production facilities that still use energy from conventional sources. By the end of 2017, we already reached 27 % reduction. 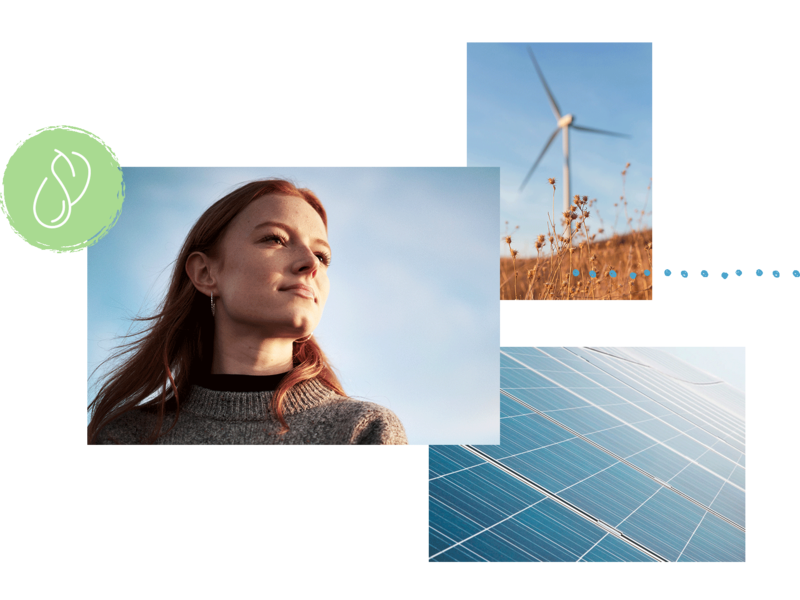 With the exception of our plant in Mexico and Nigeria, we switched all facilities to renewable energy, including our large production centers in Germany and Spain. By 2020, we plan to use only renewable energy wherever we make NIVEA products. One thing you can be sure of: we will devote all our energy to creating the best NIVEA skincare. We want to make sure that everything about our products is sustainable – including the first thing you see of every NIVEA product: its package. As early as 2009, we placed environmentally friendly packaging on our agenda. Following the principle “avoid, reduce, reuse, and recycle”, we use packaging that keeps your NIVEA products safely fresh and our impact on the environment as low as possible. Using less material for our packaging saves valuable resources and helps avoid waste. Case in point: our hand creams. When, in 2016, we switched to lightweight tube caps, we saved about 50 tons of polypropylene in the first year alone. As early as 2013, we introduced refill packs, e.g. for NIVEA Soft shower cream. Refilling your NIVEA shower cream bottle from this pack produces 75 % less waste than if you got a new bottle. All NIVEA packaging can be recycled. 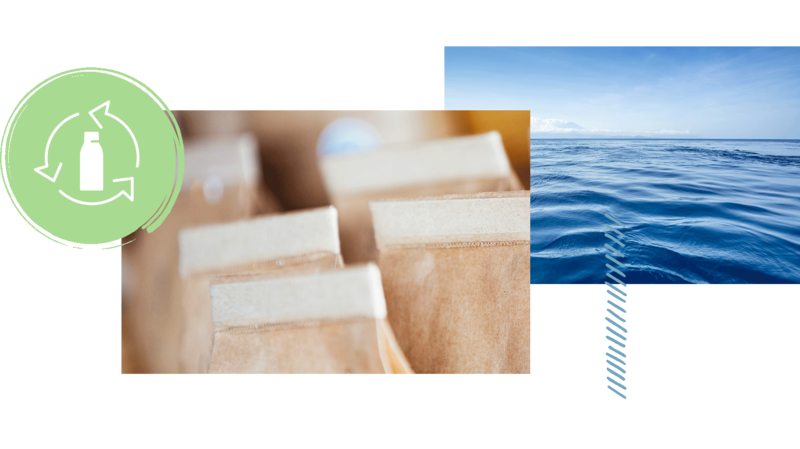 About 5-10 % of our packaging consists of PET (polyethylene terephthalate), the rest of PE (polyethylene) and PP (polypropylene). All these materials can be recycled. We also use paper certified by the Forest Stewardship Council (FSC) and plan to use only FSC-certified paper by 2020. This commitment is our contribution to the fight against deforestation, one of the biggest drivers of climate change. Less waste means less pollution and less consumption of valuable resources. Early on, we made the commitment “zero waste to landfill by 2020” – and we’re already there! None of our production centers ships waste to landfills, neither hazardous waste nor ordinary production waste. Instead, all waste is recycled or used thermally. In countries without the necessary infrastructure, we have started collecting waste and shipping it to Germany for recycling or thermal utilization. Keeping waste out of landfills is only one side of the story. We also keep improving our planning and production processes in order to avoid waste wherever we can. Case in point: our beloved NIVEA tin. We used to source large, rectangular aluminum sheets from which we cut the tin sides, tops, and bottoms. In late 2017, we changed our process and switched to pre-cut aluminum parts. This saves 54 g of aluminum scrap per sheet, a total of 14 t of aluminum per year. Less material to ship around and less waste to recycle also means less fuel for transportations and less CO2 emissions. 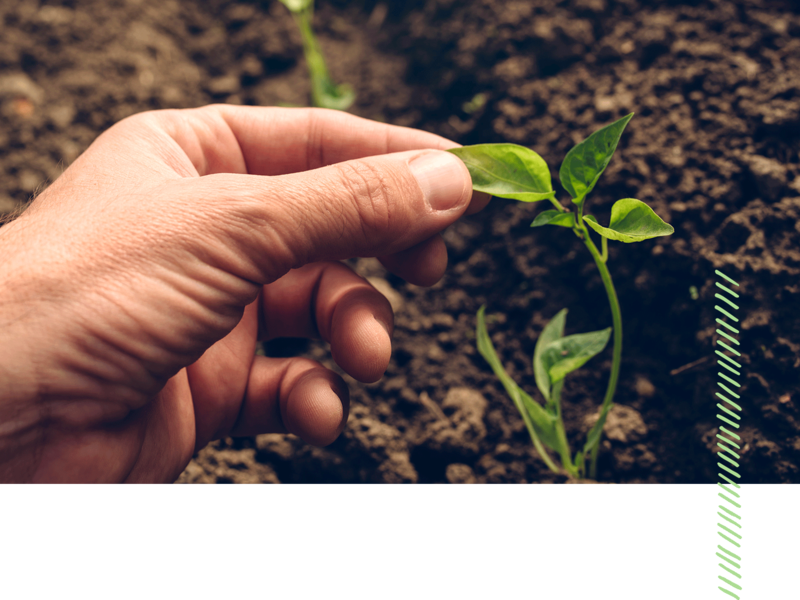 To make sure our products have as little impact on the environment as possible, we do everything we can to address potential issues immediately. Take microplastics: as early as 2013, we decided to phase out plastic peeling particles from our products. Two years later, all our formulas were microbead-free. 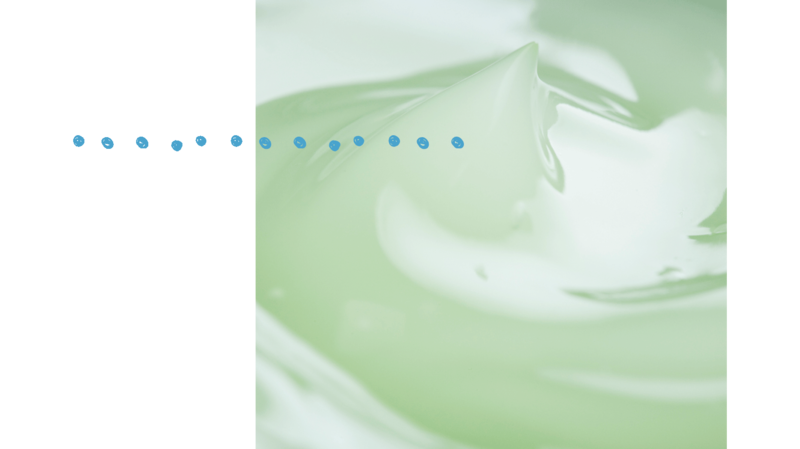 Next, we are taking on opacifiers and nylon ingredients: we plan to eliminate all solid synthetic polymers in our rinse-off products and all nylon in our cosmetics by the end of 2020. When it became clear that some chemical UV filters may damage coral reefs, we reviewed our sunscreen formulas. None of our European sunscreen products contain the chemical filters in question. They fully comply with the Hawaiian laws designed to protect the oceans and coral reefs. Microplastics are tiny plastic particles with a diameter of 0.5 mm or less. They can consist of any kind of plastic, and like any kind of plastic, they degrade very slowly. The microplastics that are already in our environment may stay there for centuries. They find their way into the food chain when they are eaten by fish and other sea animals, especially those living on the bottom of the sea. When this happens, it may interfere with the creature’s appetite – the animal feels full though it hasn’t ingested any nutrients. Through the food chain, microplastics can also get into the human digestive system, though it is still unknown what effect that may have on humans. Did you know that synthetic textiles are among the main sources of microplastics in our oceans? In contrast, personal care products account for only 2 percent. Nevertheless, NIVEA and Beiersdorf recognized the need for immediate action early on. That’s why we phased out microbeads from all our formulas and keep researching new, environmentally safe alternatives. In the past, we used small solid plastic particles in rinse-off, cleaning body care products (peelings, shower gels, etc.) for a skin-friendly peeling effect. These plastic particles only make up a small percentage of the total plastic waste. But even a small percentage is a problem. In 2013, NIVEA decided to replace polyethylene peeling particles with environmentally friendly alternatives. 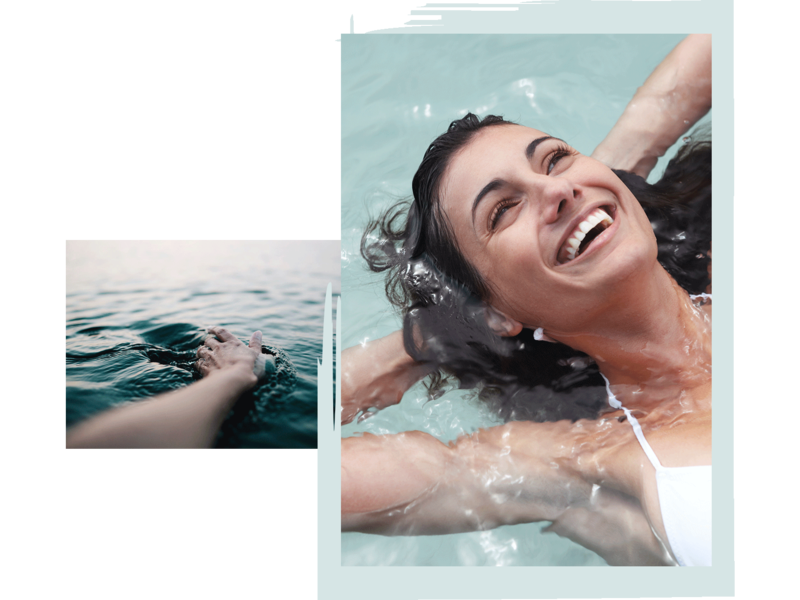 Since late 2015, our products contain no polyethylene microplastic particles. Instead, NIVEA uses cellulose, silicon dioxide and castor wax. Cellulose is a biodegradable, organic material, which also occurs in plant fibers. Silicon dioxide is similar in its chemical composition to quartz sand, and castor wax is a natural, biodegradable raw material with a hard, wax-like consistency. Eliminating microbeads was only the first step. Next, we plan to replace nylon, which we use to improve the texture of some ‘leave-on’ products, by 2020. The same goes for the ingredients we use to make some products opaque, stable, thick, or water-resistant. You can be sure that all our new formulas will be as gentle to your hair and skin as they are eco-friendly. 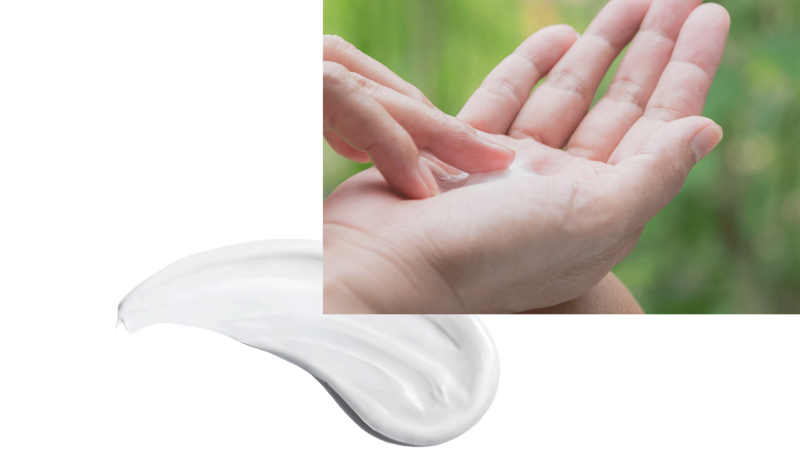 Liquid and gel-like polymers are used in rinse-off skincare and haircare as well as other products. They make sunscreen more water-resistant and help shampoos and conditioners leave your hair more manageable. Unlike microplastics, these polymers dissolve. They do not remain solid or form particles. According to the current state of research, liquid and gel-like polymers are not part of the global water pollution problem. However, we want to be really sure that our products are safe for the planet. That’s why NIVEA supports research on the environmental impact of liquid and gel-like polymers, including a project the Fraunhofer Institute for Environmental, Safety and Energy Technology conducts in cooperation with universities, industry stakeholders, and wastewater treatment experts.